My husband and I enjoyed a fun trip to Durango, Colorado to go snowboarding, snowshoeing, and snowmobiling. For the first time in our 9 nears of travel together, we stayed at a bed and breakfast and really enjoyed it. The Apple Orchard Inn has set the standard for any B&B we consider staying at in the future. The Inn has rooms in the main house, as well as six private cottages, all named after different varieties of apples. 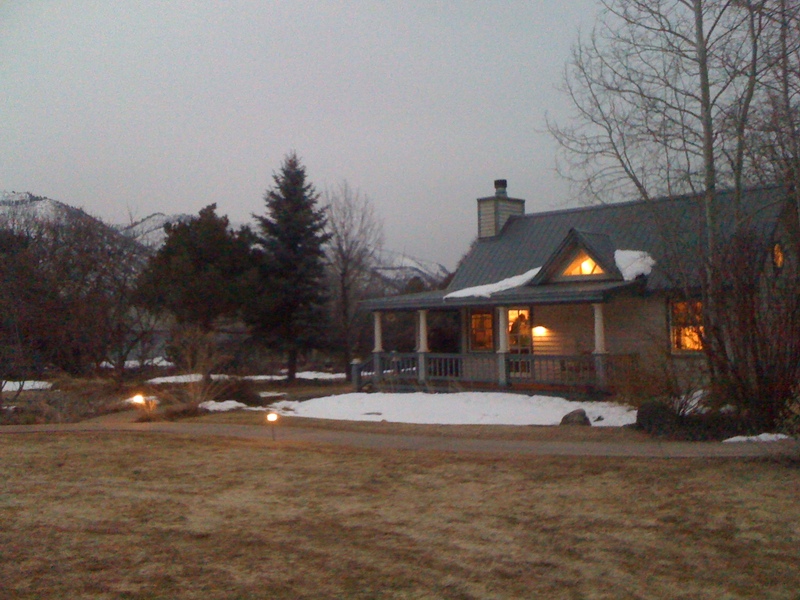 We stayed in the Cortland Cottage shown in the picture. And it was as cozy as the picture looks! Kathi, the owner, was so sweet and an wow what an amazing cook too! Homemade breakfast every day, just a few steps away from our cottage was one of the best vacation experiences we’ve ever had! My husband and I really enjoyed meeting new people every morning too. I hope we get a chance to go back, maybe during the summer when it’s green and warm. This entry was posted in Plane Trips, Road Trips and tagged Apple, Apple Orchard Inn, Bed and Breakfast, Orchard. Bookmark the permalink.